For your fourth blog prompt I am going to ask you to consider the setting. I’ve written a post touching on this before where I find that settings/locations often shape a story. 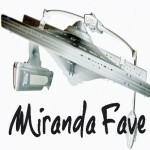 So tell me, how do you choose your settings – be it planet, ship, ship class, heck Trek era even? How does the setting shape your story? What world building lengths do you seek as a writer / as a reader? Do you like descriptions and to paint the scene or do you leave it to the imagination of the reader. However you choose to interpret this prompt, have at it. Hmm…settings. Without them, stories really don’t go anywhere…literally. I guess, starting simply with ship class, it depends. With “After Darkness,” I chose the old freighters from ENT as a crossover between ENT and the JJ-Verse. I chose the Newton-class because it was an intriguing design. Maybe not the ship of line, but a somewhat specialized ship, maybe for long-term extensive research-type missions. Not a warship, but also not a tugboat either. For Rafale, I (obviously) used the ship I was playing with in-game. I had read (somewhere, I can’t find it anymore) that the Akira was basically the new design that was replacing the Excelsior, as far as it’s widespread use and appearances in the fleet. I decided on a refit-version that traded a lot of firepower and the hangar for extra labs, letting her fill the role of the Excelsior-class ships she was replacing. That way, Rafale was definitely more than capable of being a warship in a time period where the Federation is at war with the Klingons again, but then also more than capable of going on short-range, quick down and dirty science missions. I wouldn’t have a ship that would slice through enemies in space, nor be able to single handedly cure the Phage; she’s intentionally hamstrung to make the stories a little more interesting, as well as keep the ship dependent on the Fleet that she’s apart of. 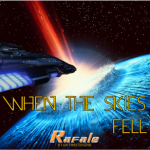 For world building, Rafale is very easy – I use the game Star Trek Online for the backdrop. There is a lot of story there that has already been established that I can use very easily. In a few more stories, I’ll be departing somewhat more heavily from “canon” in the game; the backdrop will still be there, but they will be much more original situations that currently are not (and probably, never will be) in the game. Once that divergence occurs, I don’t see the game shaping the story much more, until something happens that I decide to address in story. I am a pretty visual person. While leaving a setting to my imagination could work, I really enjoy when the writer goes out of his way to really describe what it is the characters are looking at when they board a ship or beam down to a planet. The weather is a big player, too. So many people don’t realize that you can use the weather like another character that your main people have to react to, another character that can drive your story forward. Too often it’s just…nice and sunshiny. Or, at least, that’s what I’m left trying to determine since no description is given. Even on a ship, the staleness of the air or the rocking of the deck or even the occasional pinging and creaking of the hull is important, and can be used really well to set a mood (see: Ghost Ship). Even if the writer tries and isn’t good at it, the more you practice the better you get. I can appreciate trying. I try all the time. Ok, so probably not my best response. I guess I really wasn’t sure how to approach this; I’ve never really thought about my world build. I’ll have to ponder this a bit more; maybe I’ll revisit this prompt later down the line. Revisiting prompts sounds good. However, you also touched on a lot of points here too. The reasoning behind your selection of Rafale for example as well as making links between ENT and AOS for ‘After Darkness’. I liked though how you place the value on descriptions, even shipboard descriptions. And in your words: Even if the writer tries and isn’t good at it, the more you practice the better you get. I can appreciate trying. I try all the time. That’s a mantra to take on board.